Every year, thousands of rhinos are killed because of a ridiculous superstition that their horns have medicinal properties. 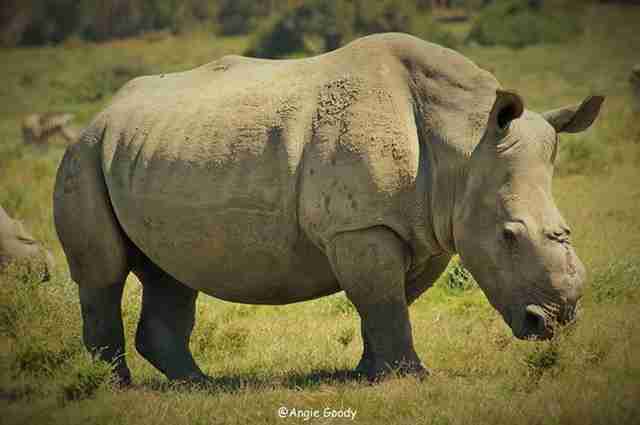 Poaching so far this year has been called unprecedented and could exceed the level of rhinos being born. 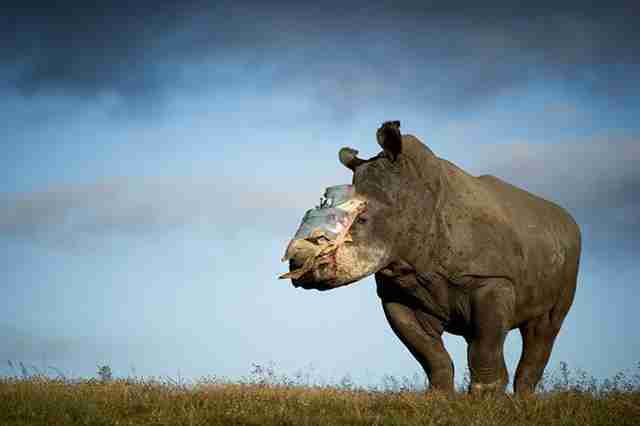 But some rhinos have, against all odds, survived the attempts on their lives. 1. 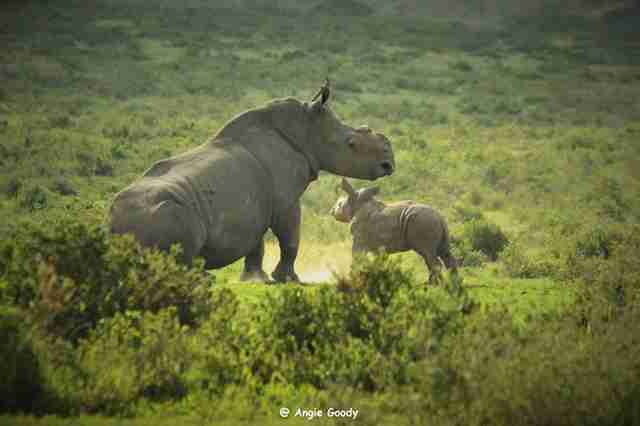 Thandi survived a brutal poaching attempt in 2012 that killed two other rhinos. 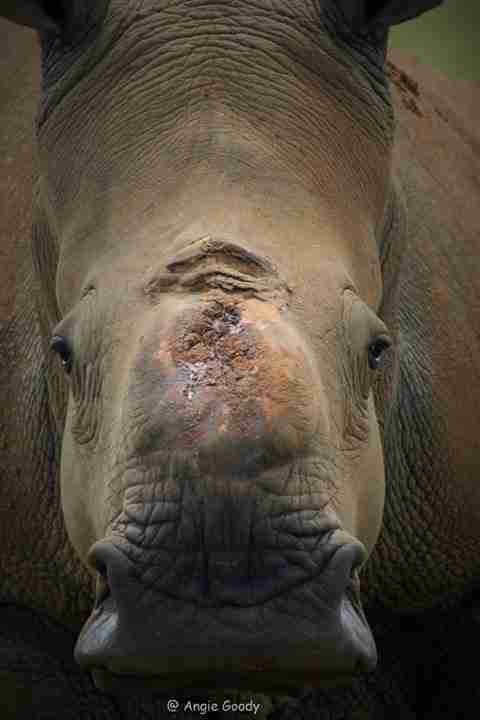 After 12 surgeries to heal the wound left by the poachers who stole her horn, Thandi is thriving. Earlier this year, this resilient survivor gave birth to her calf, Thembi. 2. 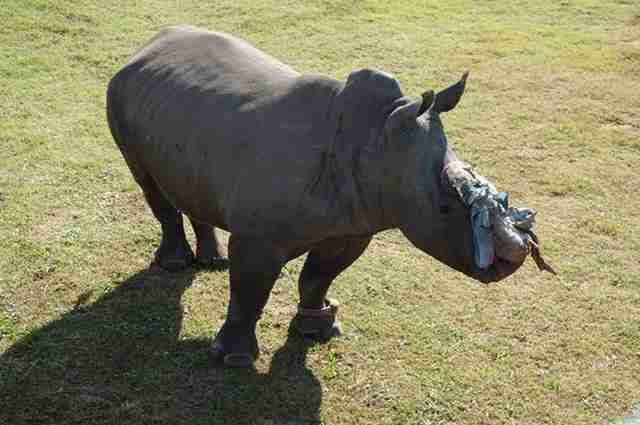 Hope is a 4-year-old rhino who was left to die after poachers hacked her horn off. Two weeks after her surgery, Hope is reportedly "active and moving around" and the "wound shows no sign of infection or bleeding." 3. 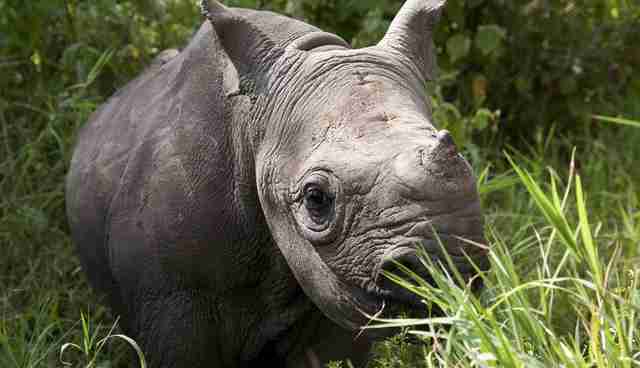 Rhinos orphaned by poachers learn to be survivors very young. At unique places like The Rhino Orphanage, babies of slaughtered rhinos learn to depend on each other. 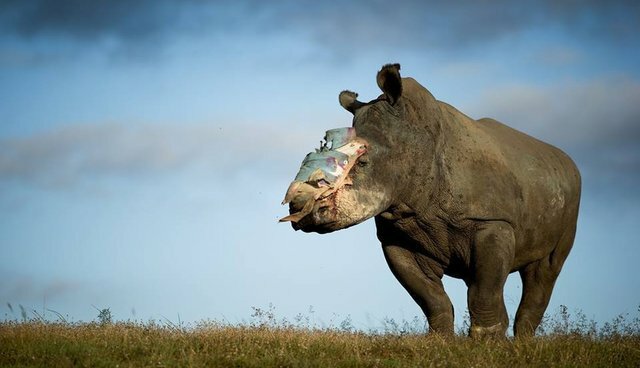 These rhino survivors are truly an inspiration. 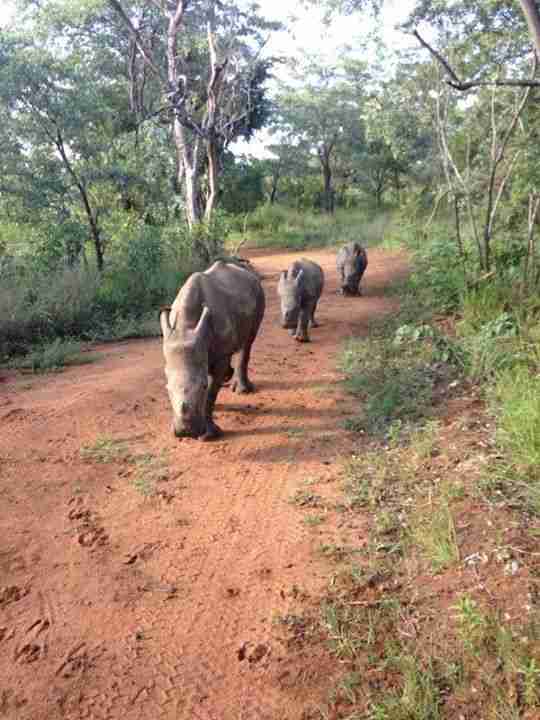 Help more rhinos here and here.